Easily cook for a large group! Camp Chef's 20" Lumberjack Skillet is perfect for tackling a feast fit for the biggest appetite. Even legendary Paul Bunyan would enjoy a breakfast feast prepared on this unit. 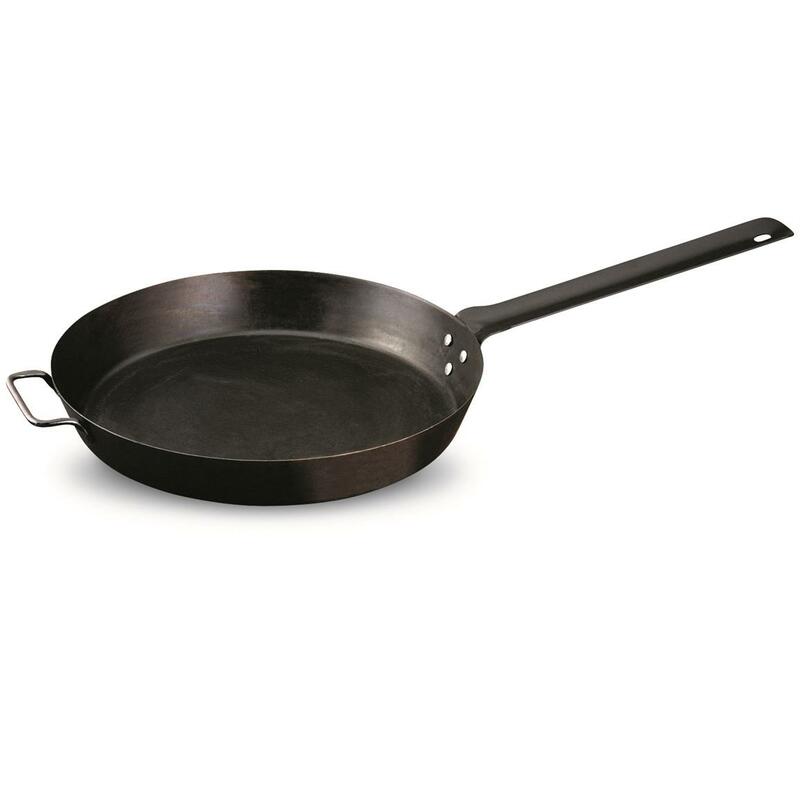 Steel skillet features deep-dish sides and a thin patina for easy, non-stick cooking. A wide handle provides extra stability and support to move the skillet as needed. Black, seasoned finish.